A fundamental prerequisite for obtaining realistic finite element simulation of machining processes, which has become a key machinability assessment for metals and alloys, is the establishment of a reliable material model. To obtain the constitutive model for wire–arc additive-manufactured ATI 718Plus, Hopkinson pressure bar is used to characterise the flow stress of the alloy over a wide range of temperatures and strain rates. Experiment results show that the deformation behaviours of as-deposited ATI 718Plus superalloy are influenced by the applied strain rate, test temperature and strain. Post-deformation microstructures show localised deformation within the deposit, which is attributable to the heterogeneous distribution of the strengthening precipitates in as-deposited ATI 718Plus. Furthermore, cracks are observed to be preferentially initiated at the brittle eutectic solidification constituents within the localised band. Constitutive models, based on the strain-compensated Arrhenius-type model and the modified Johnson–Cook model, are developed for the deposit based on experimental data. Standard statistical parameters, correlation coefficient (R), root-mean-square error (RMSE) and average absolute relative error (AARE) are used to assess the reliability of the models. 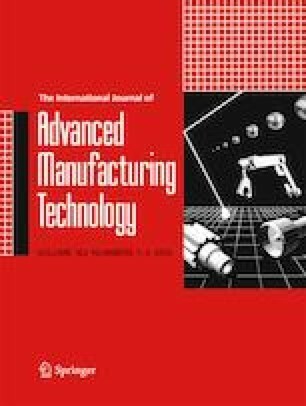 The results show that the modified Johnson–Cook model has better reliability in predicting the dynamic flow stress of wire–arc-deposited ATI 718Plus superalloy. Financial support from the Natural Sciences and Engineering Research Council of Canada is gratefully acknowledged. One of the authors (Gbenga Asala) also acknowledges the award of the University of Manitoba Graduate Fellowship during his Ph.D. programme.